Our mission is to develop new, innovative technologies and applications with a commitment to environmental sustainability, thereby enabling the advancement of technology for the betterment of humanity. We adopt the customer's point of view to create solutions that meet the customer's needs and expectations. We excel in the ever changing business environment through innovation and continuous improvement. We adhere to rules and regulations and operate ethically, thereby strengthening our stakeholders' confidence and trust. We act with customer satisfaction in mind. We strive to identify the cause of an obstacle and to resolve it quickly. We challenge ourselves to succeed with passion, sincerity and creativity. We respect each person's ideas. We conduct ourselves with pride, honesty and integrity. The world is constantly making progress by the activities of various industries. This progress will keep moving forward to lead us to higher levels of sophistication. We at Fujimi aim highest customer satisfaction by providing quality products and services. This is our contribution to shaping the future. Being an “excellent company” means not only having excellent results. It also includes the following. Respond to change precisely, and grow continuously. 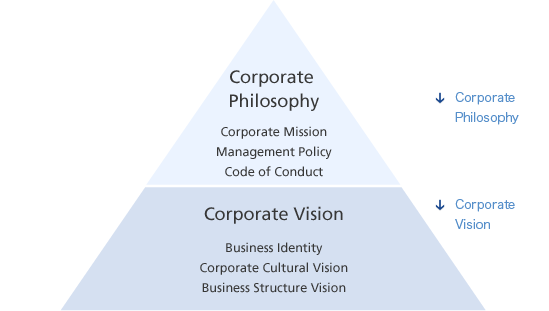 Each person works eagerly to achieve the corporate philosophy and vision. Contribute to decreasing the environmental impact as a member of a recycling-based society. Fujimi will be a strong, kind and exciting company. Fujimi will strengthen its existing businesses while aggressively taking on challenges in new fields. We will construct a stable business that is balanced between the semiconductor (silicon and CMP) and non-semiconductor fields.